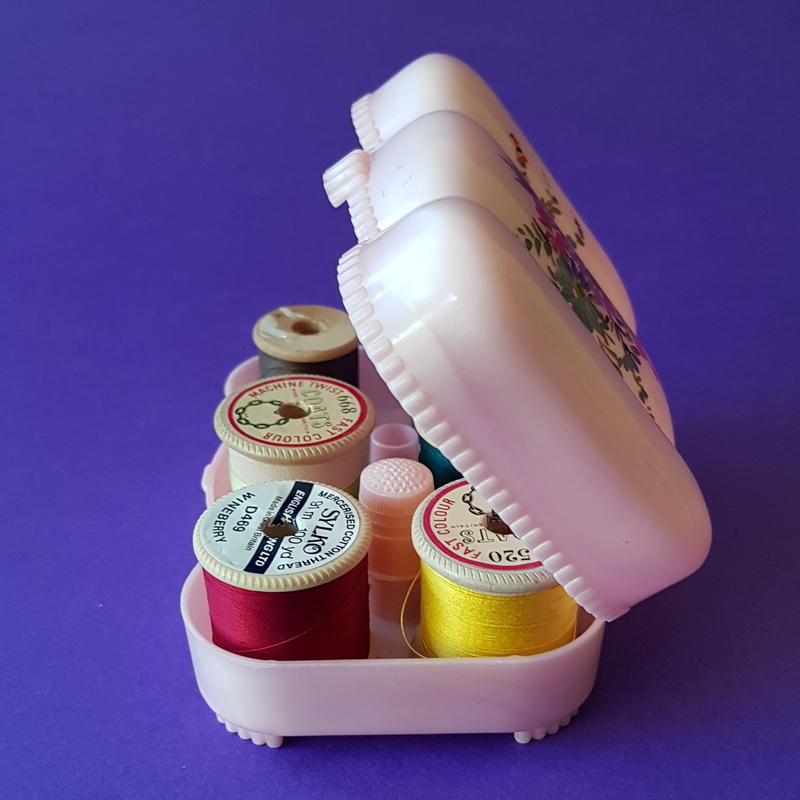 Abolutely gorgeous little sewingbox! 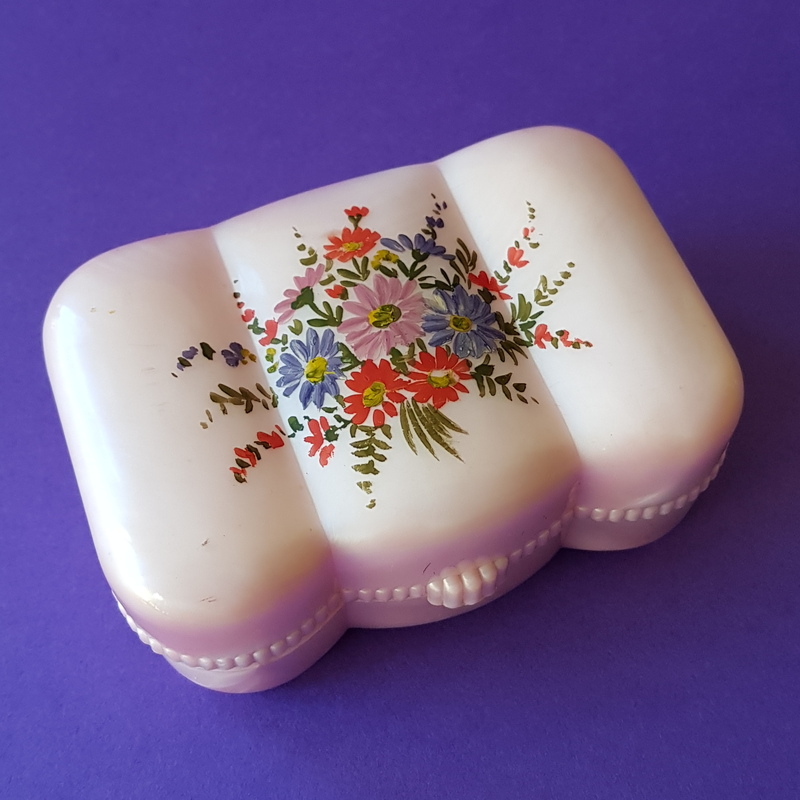 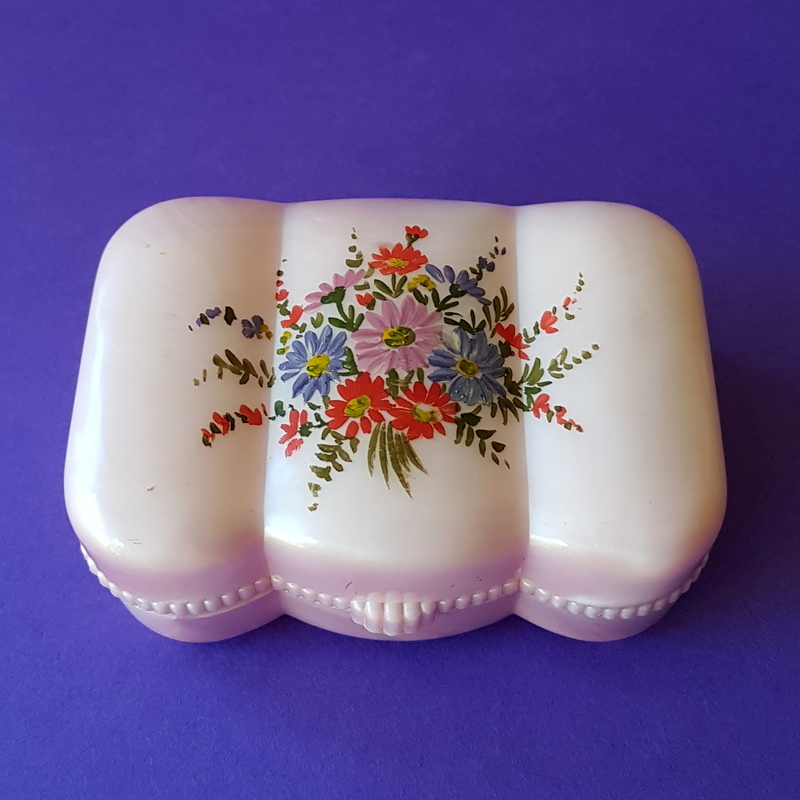 Made of a pink, almost pearlised plastic, this little box just oozes charm with lovely scalloped edges, and a hand painted design of flowers on the lid. 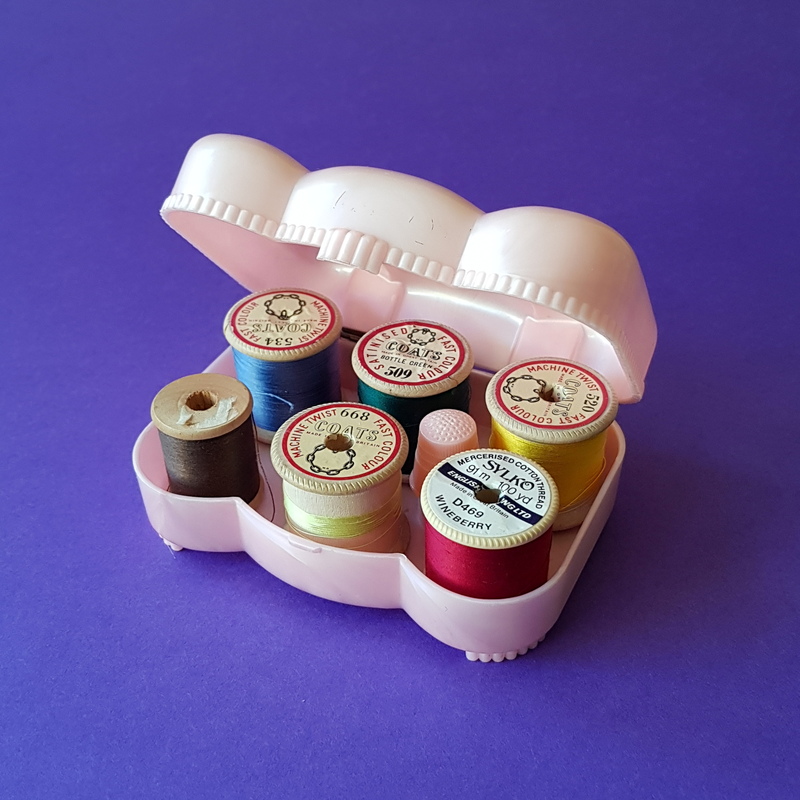 It is fitted out with 6 cotton reels and a plastic thimble and in excellent condition!